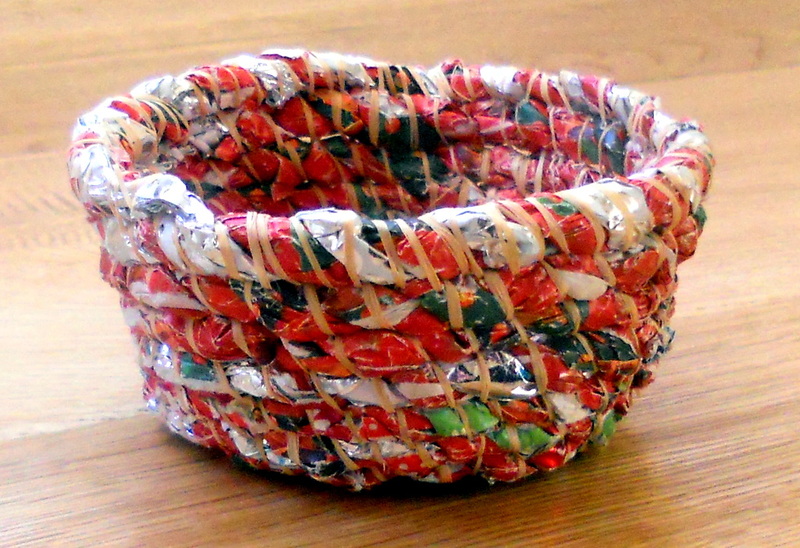 This basket was made using used Christmas wrapping paper. 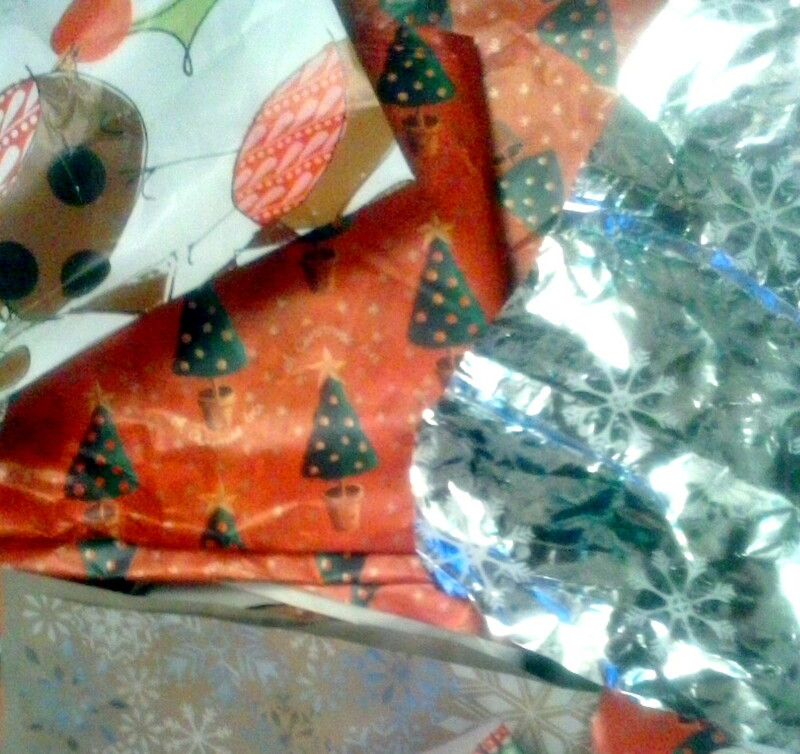 After Christamas everyone has a pile of used wrapping paper. For this basket rather than just throw it away, I thought I would try and use some of it. 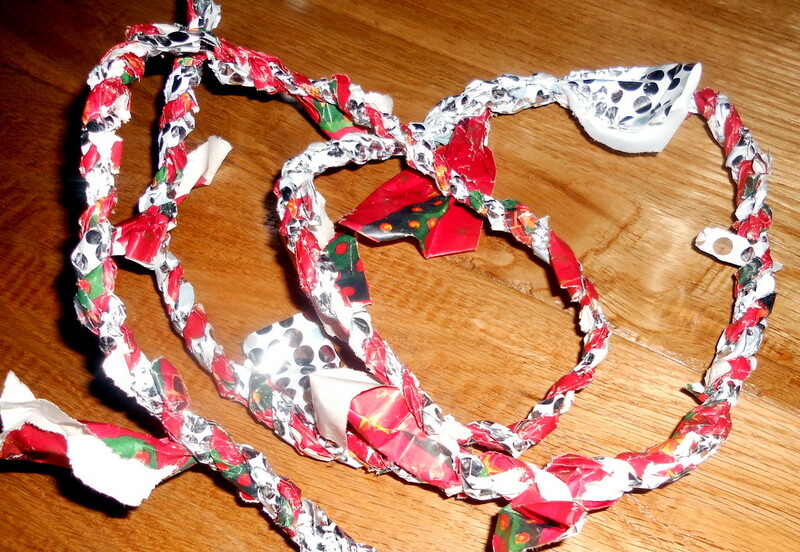 After ripping the paper into strips I twisted them into a length of rope. 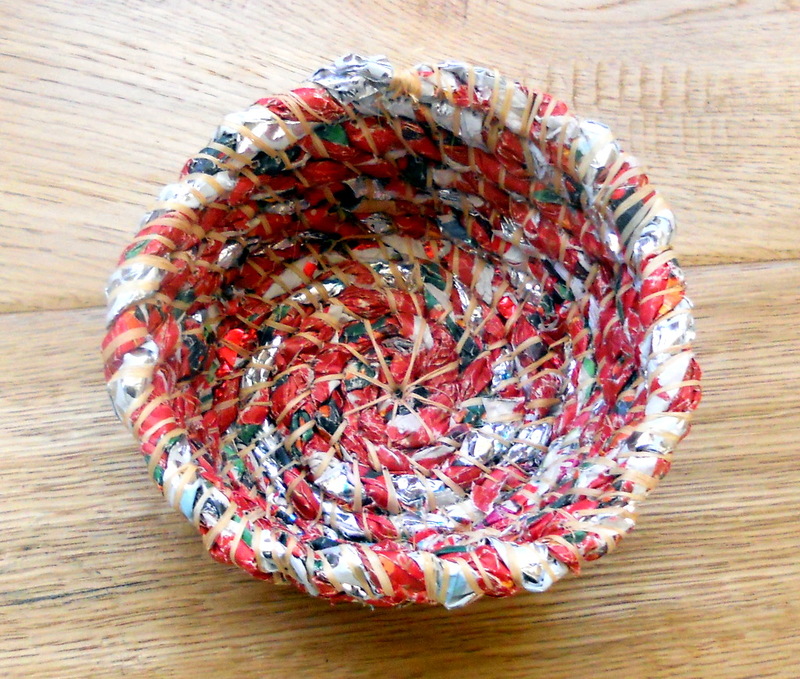 Then, using some bits of raffia that had been used to tie one of the presents I coiled the paper rope into a small basket. You can see the coils clearly spiralling up when looking down on the basket. 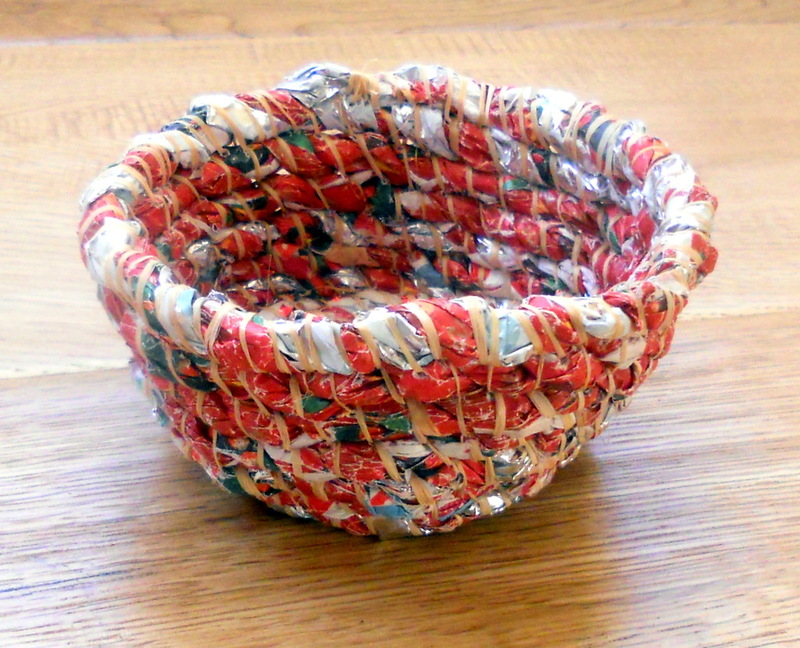 2 Responses to "Baskets From Found Materials 18 – Wrapping Paper"
Thanks for your comment Evie, if you like I can put you on my mailing list for classes. Just send your email address to me at julie@willowweaver.com and/or you can like my facebook page where I post upcoming classes plus other interesting basketry stuff https://www.facebook.com/basketrybywillowweaver.